6 kVA and 3 phase variac voltage regulator. 0-430V rated output voltage, 380V rated input voltage. Connection surface of the coil and brush should be kept clean, otherwise spark may be caused to burn the coil surface. If black spots are found on the coil surface, a cotton yarn with alcohol (90%) can be used to wipe until the surface spots are removed. 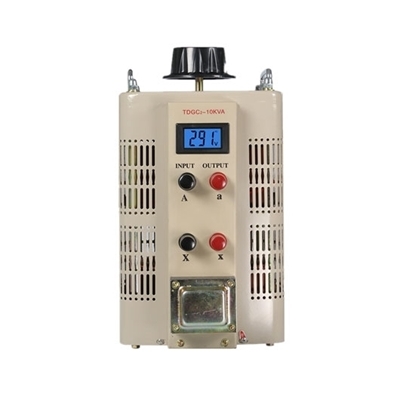 Wires and conductor terminals from the power supply to the voltage regulator, to voltage regulator load shall be well connected and can pass the rated current of voltage regulator. Don’t use the hand wheel when moving the voltage regulator, use the handle or move the whole product. The voltage regulator needs to be mounted horizontally on the panel (only for unit voltage regulator structure) or fixed with mounting holes on the base when mounted vertically on the panel. 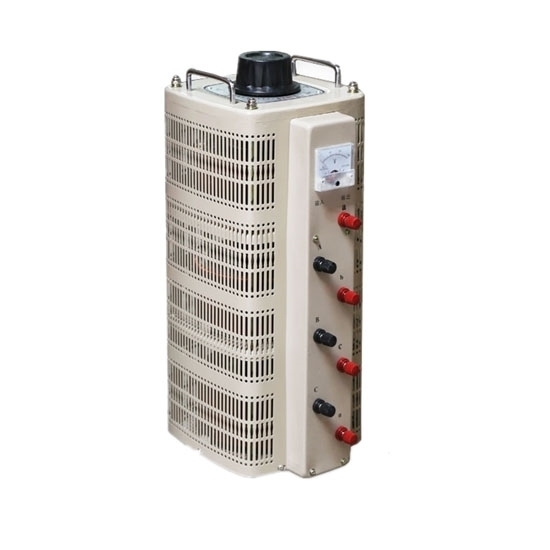 The voltage regulator should keep clean all the time, it’s not allowed to have water droplets, oil on the regulator. The voltage regulator should be cut off regularly to remove the dust accumulated inside. 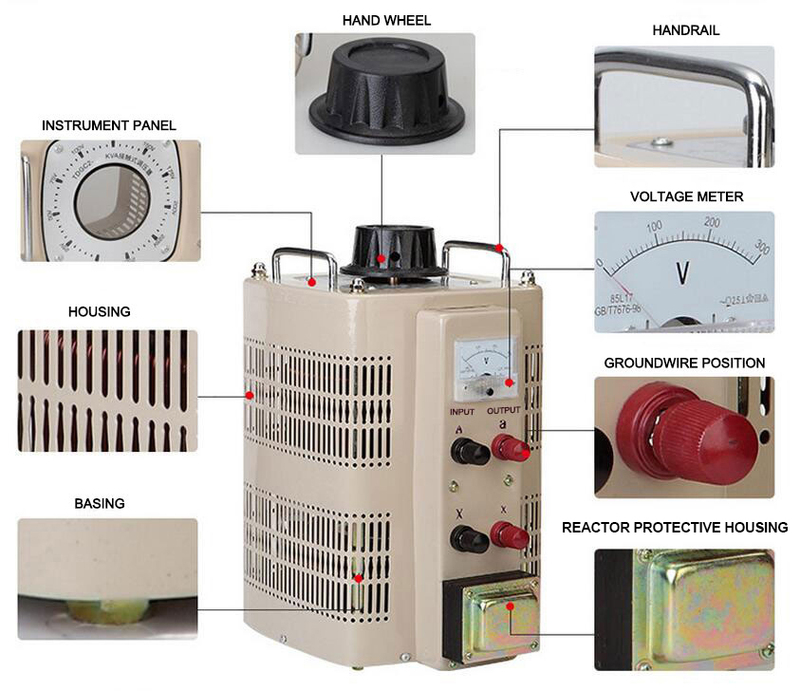 There should be no gas, vapor, chemical deposition, dust, dirt and other explosive and corrosive media in the installation site to seriously affect the insulation of voltage regulator. There should be no serious vibration and jolt; Use indoors; No parallel operation.